The big news last week, next to the news of a royal baby on the way, was the announcement of the colour of the year by Pantone - Emerald Green. For product people, from cosmetics to home interiors, this information is always exciting. See the announcement by Pantone here. Emerald green was chosen for its sophistication and luxuriousness referring to its beauty as a precious gem stone. Emerald is a rich and royal shade of green moving toward the blue side of the colour wheel. 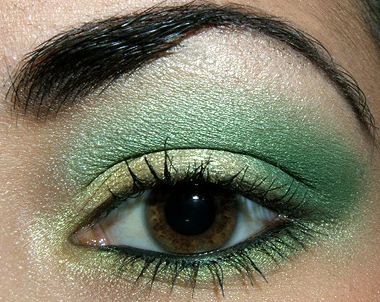 Did you know that green is the colour most seen by the human eye due to its presence in nature? According to Leatrice Eiseman of the Pantone Color Institute, " It is also the colour of growth, renewal and prosperity" - no other colour conveys regeneration more than green, promoting balance and harmony. 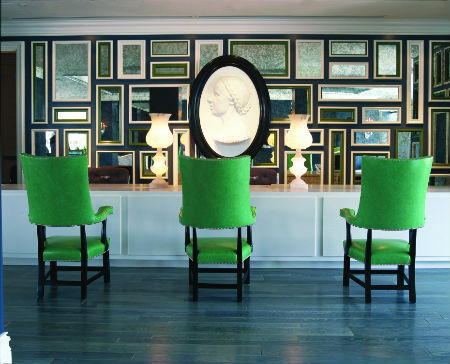 How about these amazing emerald chairs by Kelly Wearstler for the Viceroy Hotel in Miami? We will also be seeing the influence of emerald in makeup as Sephora has partnered with Pantone to develop green cosmetics including eye shadow and nail polish. So say good bye to last year's colour - Tangerine Tango. And watch out for all things emerald.